Given the sensitive nature of the proposed development (residential) a contaminated land planning condition was attached to the decision notice for the application for the erection of two dwellings. Demeter Environmental were commissioned to prepare the desk study report in order to discharge the first part of the contaminated land planning condition. 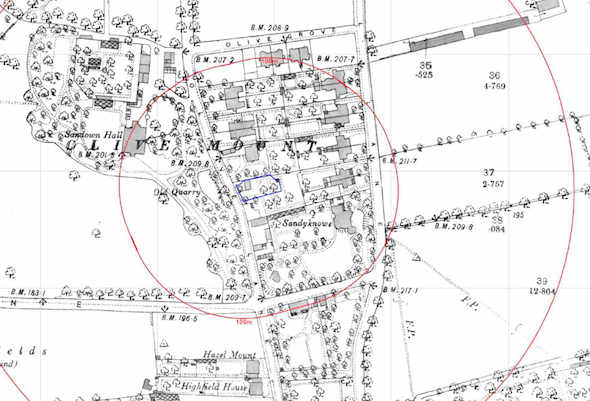 Initially, the history of the site was studied using both historical Ordnance Survey (O.S.) maps as well as aerial plates and street level imagery. The O.S. maps revealed the site was initially occupied by a small building on the north western corner of the site, Which was demolished by 1908 when a glass house was present on the eastern boundary. By 1966 the site had been cleared. An ‘Old Quarry was identified on the 893 map to the west of the site, which was no longer identified when the area was developed in the 1940’s. Data provided by the Environment Agency and Groundsure did not provide any salient information on any other potential sources of contamination. 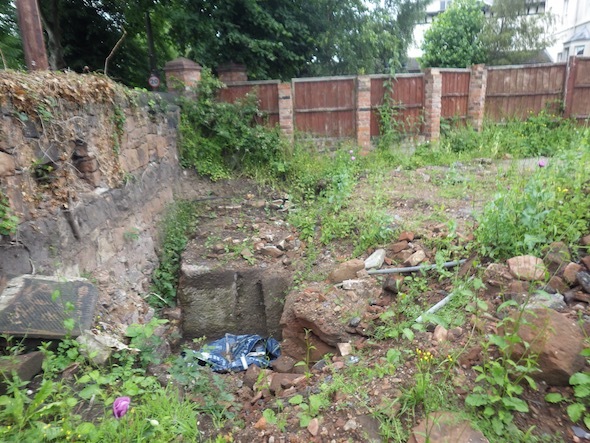 On completion of the desk based assess the site walkover survey was undertaken, which revealed the site had been cleared and the weather sandstone could be seen across the majority of the site. A stockpile of made ground / rubble was identified adjacent to an excavation where foundations of a previous building could be seen. Whilst the area of the former quarry could not be inspected it was clear from observations made at the site boundary that the dwelling in the footprint of the quarry was at a lower level than the neighbouring houses, indicating the house had been built in the quarry and no in-filling had taken place. This was used to discount the quarry as a credible source of contamination. A qualitative risk assessment was undertaken to assess the potential sources of contamination identified int he desk study report, which discounted all except for the made ground identified on the western area of the site. 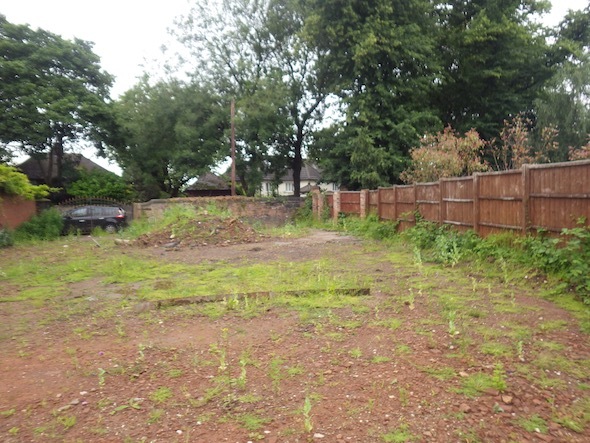 It was concluded that as the made ground was limited to a small area on the north western area of the site, remediation in lieu of intrusive works was the more appropriate option. The report was formally submitted to discharge the contaminated land planning condition (16DIS/1917) and after clarification as to the fate of the stockpiled made ground, the report was accepted and the contaminated land planning conviction was discharged.